The siding on your home does more than create an attractive covering for the exterior. It serves to protect your home from the elements and helps keep out extreme temperatures and moisture too. The siding you choose can change the appearance of your home and can make you more comfortable as well. 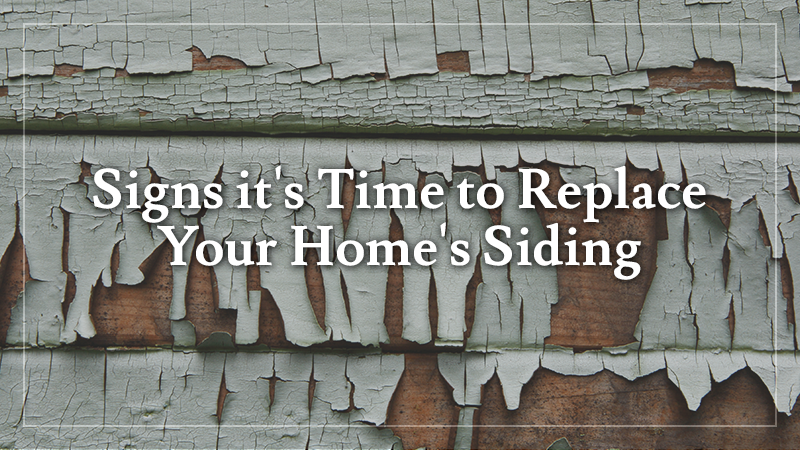 Look for these signs that it is time to replace the siding on your home. Old or damaged siding can let outside air in and provide an easy route for your conditioned air to escape. While heat loss often occurs through faulty windows, don’t overlook your siding. Sometimes cracks and loose areas are difficult to see, but that doesn’t mean they aren’t contributing to your high energy costs. If your windows and doors are properly sealed but you still experience rising energy costs, consider the condition of your siding. Check your siding carefully, viewing it from several angles, to determine if it may be the culprit causing your energy bills to rise. Siding can get damaged in a number of ways, from old age to severe weather. Consider these signs of visible damage to your siding as your replacement cue. Storm Damage – This includes everything from loose or missing sections of siding after wind storms, to dents, cracks and chipping from major hail storms. Visibly inspect the condition of your siding regularly, especially after major storms. Rotting – For wood siding, signs of rotting include dry, powdery or spongy sections. Rotting that occurs under vinyl siding may cause it to warp or come loose from the home. Insect Damage – Look for tiny holes frequented by insects as they gain entrance to your home through the siding. Once inside, insects can wreak havoc on your home and can cause significant damage beneath the siding. Aging – Nothing lasts forever, and your siding is no exception. Look for normal signs of aging that detract from the beauty of your home and compromise its ability to provide protection from the elements. This includes blistering, peeling or fading paint. While you may be able to repair the siding and give it a new coat of paint, this type of damage typically indicates that the siding is weaker than it should be. 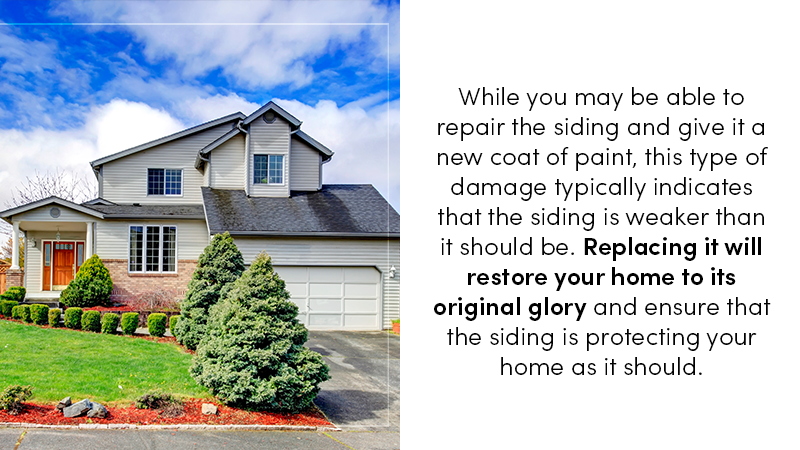 Replacing it will restore your home to its original glory and ensure that the siding is protecting your home as it should. 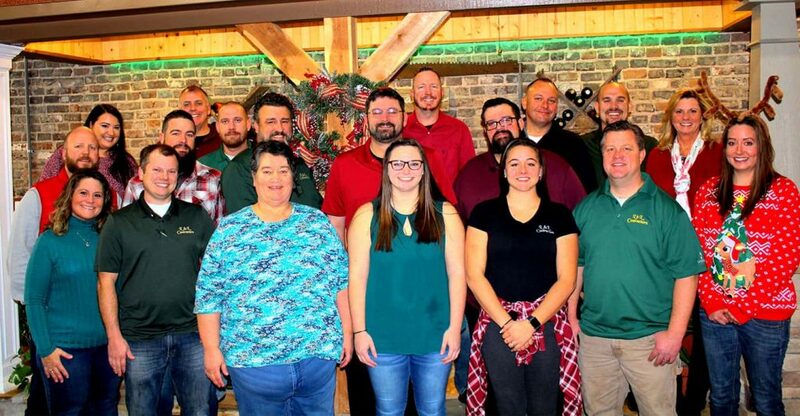 Whether you are looking to replace sections of your siding or need the entire exterior of your home redone, L&L Contractors can do the job for you. Our professionals can help you decide the type of siding that is best for you. 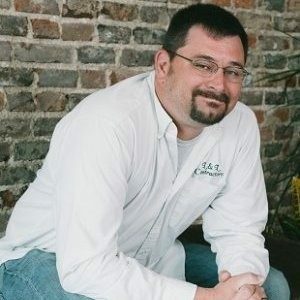 Contact us today to schedule your exterior project or to discuss your options.